The Raya exodus is quickly approaching and millions of journeys home are being planned. For Malaysians, the “balik kampung” journey is an important one: it means time with families, for celebration, and to appreciate life’s blessings. This year, that journey could mean additional blessings for children in need. 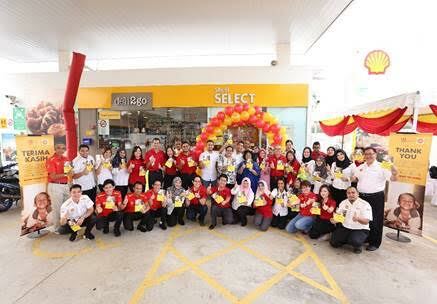 In conjunction with this year’s Hari Raya Aidilfitri celebration, Shell will donate 1 sen (RM0.01) for every 1 litre fuel pumped at any Shell fuel station nationwide on 1, 2 and 3 of July (Friday, Saturday, Sunday). The funds collected will be channeled to help improve and transform the lives of disadvantaged children across the country. 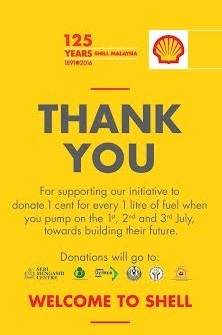 This is the second year Shell Malaysia is doing this. When it started last year in 2015, Shell was able to provide funding for five (5) organisations focused on improving children’s welfare. Thanks to the kindness and generosity of Malaysian motorists, these organisations were able to provide additional educational programmes, renovate facilities, and upgrade office equipment. “This year, Shell wishes to continue the journey of empowering children to build a better future by giving them a chance to discover their talents and seize opportunities to reach their full potential. Based on the number of lives we’ve impacted last year, we are continuing our efforts and look to Malaysians to fuel up as they make their journeys home. Together with our partners and customers, we hope to make it bigger and better this year,” said Datuk Azman Ismail, Managing Director of Shell Malaysia Trading Sdn. Bhd. 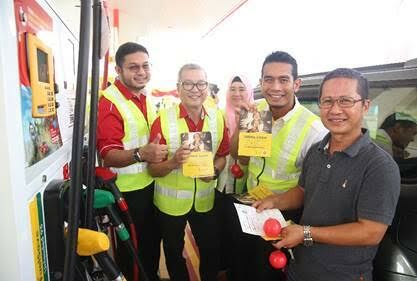 and Shell Timur Sdn. Bhd. 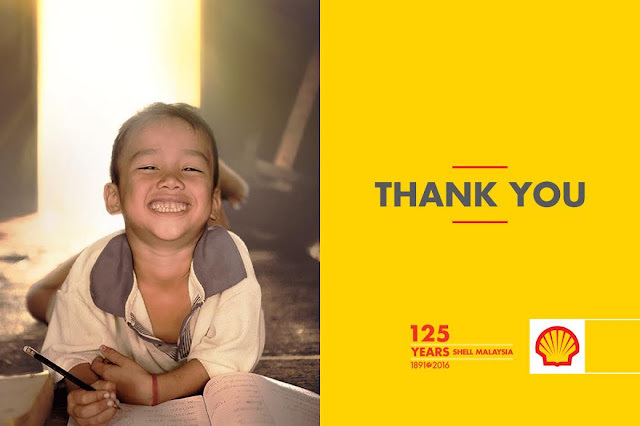 This year, with the support of customers and partners, Shell will raise funds to be distributed to six (6) selected charitable organisations: Persatuan Dyslexia Malaysia, Pusat Harian Kanak-Kanak Spastik Bandar Ipoh, Persatuan Penjagaan Kanak-Kanak Terencat Akal Johor Bahru, Yayasan Kebajikan Anak-Anak Yatim Kelantan (Rumah Putera Dan Puteri Harapan), Seri Mengasih Centre Sabah and Lembaga Kebajikan Anak-Anak Yatim Sarawak. “Each contribution can make a difference and together we are able to amplify that. The simple act of filling up your tank could translate to blessings to underprivileged children in need and we hope this also inspires you to share this charity drive with your family and friends,” Datuk Azman also said. Furthermore, with the goal of raising donations beyond the simple act of fueling up, this year’s charity drive gives BonusLink members an option to convert their points to donations. For every 100 points, BonusLink members can contribute an amount of 1 ringgit (RM1.00) to further help in raising funds for the organisations. For more details, please visit www.shell.com.my/125csr. Wah.. Iklan sponsor ke ni? Shell bagi awak minyak free ke?